Hello friends! With summers upon us, you all must be planning vacation and looking for places to escape the heat. I, for one, have already been to a place which I would keep at the top among amazing places to see in India. And in keeping with my bucket list for 2019, I have ticked one more destination, which is Khajjiar near Dalhousie. My first project for the day was to get some cash and get my return ticket booked. However, the hotel owner motivated me enough to visit Khajjiar. He told me not to miss visiting this beauty after coming this far. I couldn't have gone to Khajjiar on this day as it was already late and getting a cab at that time would have been difficult. So I was persuaded to stay for another day. However, in any case, I had to get cash and ticket booked. So I sat down to try and get the online booking done. As I said, things have a strange way of working. This time it didn't take more than 5 minutes to complete the booking. Quite intriguing you see. Then I set out to check if ATMs had started working. And again, this time I got the cash from the very first ATM I tried. It might have been some divine plan to hold me back there. What would you think? Mission accomplished and more than half the day still remaining, I thought of exploring the surrounding areas and soak in the peace and serenity of the place. Decided to take a long walk on a road called Thandi Sadak (cold road). It is called so because it doesn't receive any sunshine throughout the year as opposed to Garam Sadak. With very less traffic on the road and enjoyable weather, I was walking along merrily when I came across this spot. The entrance to a resort. The view from here was amazing. I could clearly see deep valleys, lush green forests and snowcapped Himalayan peaks from here. It made for a thrilling sight. Stayed there for quite a while, admiring the scene in front of me. As I moved further, I could see snow lying all along the road. I was really feeling good walking in the fresh air of hills and road was also comfortable in the sense that there was no climb. It was a flat road. Moving further up, I came across another vantage point. This one was better than even the earlier ones. The view from here was straight from picture postcards. A lush green valley and a village with colourful houses in that with a long line of snowcapped peaks in the backdrop. Very clear view of everything. It was a sight to behold. And I think the best view I could have had from anywhere. Simply majestic. And coupled with the calmest surroundings I could imagine, it seemed to be a perfect place to meditate. Except that I am not much into meditation(though very much into prayer). So I could end my day on a high. This was going to be the most hectic day of my trip. I had booked a cab for Khajjiar at 9.30 am. By the time I got ready and had my breakfast, my cabbie was already there. So I checked out from the hotel, left my luggage in their custody and boarded the cab. Since the regular route was closed, we were supposed to go to Khajjiar via Chamba and it was going to take around 3 hrs. I had prepared myself mentally for this. 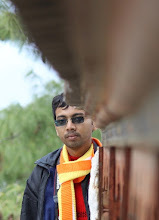 My cab driver, named Ravi Kumar, turned out to be an equally good guide and photographer (you will see why I say so). A young man(around 30), he was a jovial fellow and I found out that although a local Himachali guy, he was also fluent in my mother tongue, Punjabi. So pretty soon we were engaged in a conversation about the distance, the condition of the roads on the way and of course about Khajjiar. He would describe to me, every small hamlet or town we passed. And he knew exactly what to see and where to stop. Rock Garden - So our first halt was Rock Garden. It is actually a natural assembly of rocks which have disintegrated from mountains and fallen down. In the process, these rocks have formed a few patterns which are visually very attractive. We stayed there for a few minutes, clicked some pictures and started our onward journey. There was so much beauty on the way that I was forced to continuously click pictures. The lush green paddy fields along with yellow mustard fields and colourful houses in between provided a visual treat. I feasted my eyes with the scene outside. Chamera Lake - Next, we stopped at Chamera Lake. This lake is basically formed due to the water collected in a dam here called Chamera Dam. This dam is built on the Ravi river and the water collected here is used to produce hydroelectricity. The beauty of the lake is in its clear water and is enhanced by the hills surrounding it, which incidentally had a lot of snow during this time of the year. Together, they form an amazing landscape. You can enjoy boating in the lake. Again, we stayed there for a while, clicked some pictures and moved on. As we passed Chamba town, it became warm and I had to take off my woollens. It looks like any other town except that it is in the lap of majestic Himalayas. Once past Chamba, we were now on the road to Khajjiar. As we were moving away from Chamba, the surroundings were becoming more beautiful. Ravi had told me that there would be steep climb ahead and it could be scary on a narrow road. However, at least I didn't find it that scary and was quite comfortable. Maybe because I was too engrossed in enjoying the outside view and capturing it. Ravi told me to get ready to soak in the enchantingly beautiful scenery lying ahead. We were crossing the dense forest and then a check post. Which meant Khajjiar was around the corner. 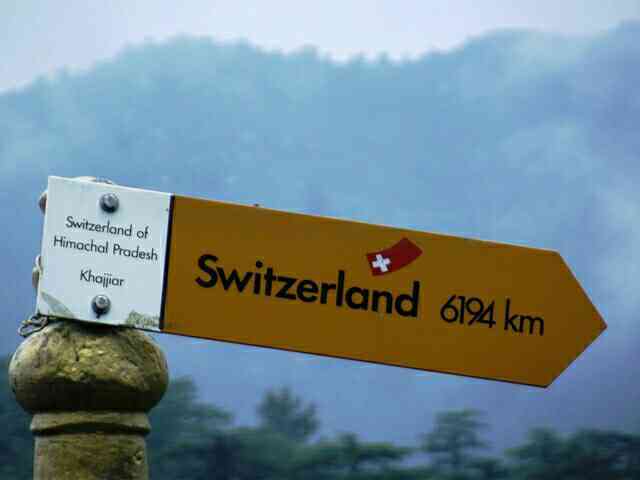 I was feeling a bit disappointed as I could not see that Switzerland like look anywhere around even as Ravi told me that Khajjiar was just a few meters away. For once, I thought what I had seen in pictures was not actually Khajjiar. But having come this far, I had no option but to sit quietly and wait. Khajjiar - Suddenly our cab took a right turn and there it was. The green meadow surrounded by tall lush green trees against a backdrop of snow clad mountains and a lake at the centre, hidden from the outside world. It was a sight to behold. An unbelievable beauty lying in front of me, inviting me to feast my eyes to my heart's contentment, without touching or hurting it. 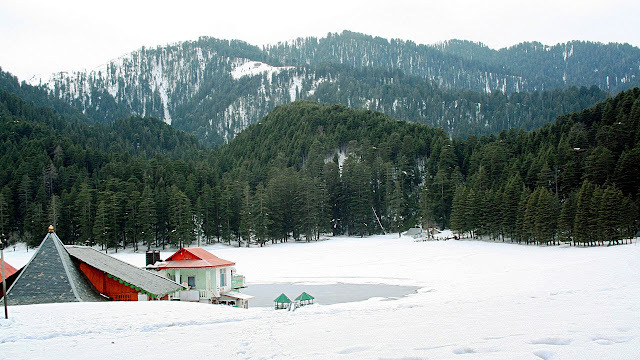 It is not for nothing that Khajjiar has been officially termed as mini Switzerland of India. To me, it will rank right at the top in any list of amazing places to see in India. The green grass had become a little yellow at some places due to snowfall. And I could see snow still lying at the edges of the meadow. The scene was overwhelming. Though there were many tourists there, the area was so big that it still looked very peaceful. You simply have to see it to experience the beauty of the place. Khajjiar has adventure options too. You can enjoy zorbing around the lake or go for paragliding. The lake has a lot of fishes, though I was not lucky enough to encounter any. There are a few eateries around where one can enjoy a peaceful meal. But the real charm is walking around the meadow and enjoying the calmness of the place. The serenity of Khajjiar will rejuvenate even your soul. Khajji Nag Temple - At Khajjiar itself is the Khajji Nag Temple, dedicated to the Snake God. This is a 12th-century temple and has beautiful wood carvings. It has a blend of Mughal and Hindu architecture displayed on the carvings on the ceiling. After a few hours of feeding my eyes, heart and soul with this breathtaking natural wonder, it was time to move. So we started our return journey around 4.30. Jai Jagdambe Temple - But there was still something left. Just half a km away from Khajjiar is beautiful Jai Jagdambe Temple. Dedicated to Goddess Durga, this temple is very famous among locals and tourists alike. A beautiful statue of Goddess Durga inside the temple is complemented by an 84 m tall Lord Shiva statue outside. It is an excellent place to take your mind off worldly things and focus on your inside. After half an hour, we started back and now there was to be no stoppage on the way. We headed straight to Dalhousie as I had to catch my bus for Delhi at 7.30 pm. We reached Dalhousie around 6.45 pm. I thanked Ravi for his hospitality because he had not only guided me to some of the most beautiful places but had been a very good companion too. This last day made me forget every problem I had faced during this trip(though I would consider these as very small problems on hindsight), and return with very fond memories. So it was time to say goodbye to Dalhousie. It was all in all a pleasurable experience. From hotel owner Sanjay Thakur to hotel staff to local people and then Ravi Kumar, all were very gentle, cordial and always ready to help. Dalhousie and Khajjiar are really two of the most peaceful, calm, serene and naturally beautiful places I have visited. As I said, in any list of most amazing places to see in India, these will rank at the top. The above experience was of Vimal Bhatia, a passionate traveller and keen travel blogger who writes about some really stunning but unexplored places. A solo traveller so far, he hopes to find his travelling companion someday, maybe on one of his sojourns. For more such stories about enchanting places, go to his website. He is already planning his next trip. Suggestions are welcome. Which place you would like him to go to and write about? Mention in the comments. thanks for bringing me to Khajjar through your beautiful blog! Thanks Jessa. Glad you liked it. Visit and subscribe to my website for more enchanting places. Really interesting, extremely informative post! I must say must visit place when unrouting Switzerland. Thanks. Yes, do visit once. You won't be disappointed. Wow such a wonderful place I love the nature view. Awesome photos. It indeed is a wonderful place. Do visit at least once. Wow this looks absolutely stunning. Thanks so much for sharing this experience with us. Definitely stunning. It is an out of the world experience. Do visit my website for information on Dalhousie too. Nice guide. Your friends sounds like he had a blast!. It's a place to rejuvenate your body mind and soul. It is a paradise on earth. You would just not feel like coming back. I've not yet been to Khajjiar, but it looks like an amazing place to go and explore! I'll keep your travel guide in mind, if ever I have the opportunity to visit myself. It is stunningly beautiful. Khajjiar takes you to a different world. You can read about more amazing places on my website https://www.gowithvimal.com. This sounds like a wonderful time and a great time had with others too!! Whether you want time for yourself or a family picnic or just want to be in the midst of the nature, Khajjiar is the place. Visit my website https://www.gowithvimal.com for more such unexplored beautiful places. I honestly thought that Khajjiar was in Switzerland. As someone who loves the outdoors and spending time in nature, Khajjiar is a great place to visit for me. The lush green valley and snow capped peaks are indeed a marvel. I also particularly like the sound of the Rock Garden. It's fascinating to see how the rocks formed visually attractive patterns naturally. Khajji Nag Temple, dedicated to the Snake God also piques my interest as I love learning about different cultures and beliefs when I travel. Do not miss Khajjiar. It is a one of it's type place. There are numerous unexplored but naturally beautiful places in India. Check out https://www.gowithvimal.com. It is a dreamland. You will be transported to some different planet. 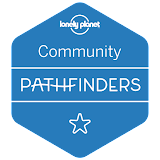 Looking for some more such places? Visit my website. Never been to this place but that place looks very vibrant to relax and unwind. Looks like you had a great time there! Yes! It indeed is a great place to not only unwind but to rejuvenate your mind and soul. Visit my website https://www.gowithvimal.com for more. The photos look amazing! The snow makes it look like a winter wonderland. Looks like you had a lot of fun! Yes, I did have a lot of fun as well as peace, which is at premium in the city life. Amazing beauty, that is Khajjiar, leaves you spellbound. For information on more such places, bookmark my website. This article brought back some really great memories. I visited Dalhousie and Khajjiar with my family about 15 years ago. The memory had completely slipped my mind but reading your article made me remember some details from that trip. I don't think things might have changed much since then. It is still the same peaceful, simple place, welcoming each and every guest with wholehearted warmth. Bookmark my website for complete information on more such places. Khajjiar is a wonderful place! It looks awesome throughout the year. Would like to visit again. Thanks for sharing. Yes, I too would like to go again. There are more such places, which are naturally beautiful and calm. For example, Narkanda. It's an equally peaceful and beautiful place. Do visit my site for stories on more such places. Definitely a place worth adding to any India itinerary! Sounds like you had a great time on your trip! I would love to experience this one day myself! Do make it a point to visit this wonderful place. Khajjiar is simply awesome. Khalliar sound amazing!! I would love to visit there someday! It looks and sounds beautiful! Khajjiar is indeed an amazing place. It doesn't look beautiful, it is beautiful. Never heard of Khajjiar but it looks beautiful. Awesome photos. You have to see Khajjiar to believe that such a beautiful place exists in India. And that too hidden in a remote corner. Those slopes look amazing! I'd love to visit in winter and in summer time. You can visit Khajjiar any time of the year. It is equally beautiful throughout the year. Khajjar really does looks like Switzerland. The photos are extremely awesome. I too fell in love with Khajjiar once I saw it with my own eyes. Just visit and find the hidden beauty yourself. I'm loving the nature shots. Very nice. This area does look like Switzerland for sure. It is much more than what these pictures show. Same with Dalhousie, just 20 km away. It is again a stunning beauty. Visit https://www.gowithvimal.com for my story on Dlhousie. This is not Switzerland dear friend. This is INDIA. 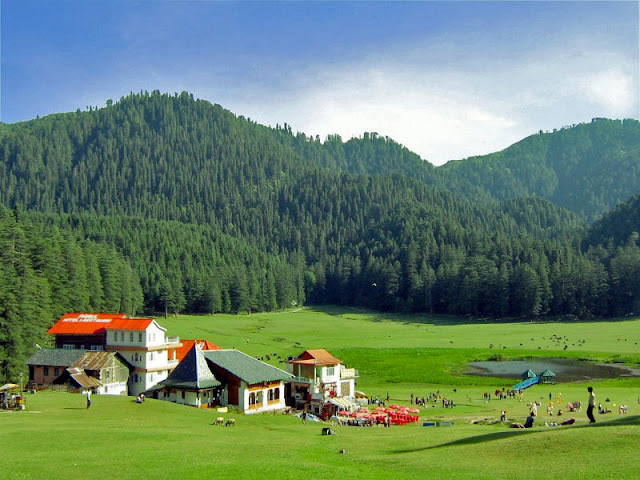 Place named Khajjiar in India which has been termed as the 'Mini Switzerland of India'. One of those naturally sweet and beautiful places, I love how you described it in this travel guide! Khajjiar is another wonder of nature. Definitely worth a visit. Thanks. Khajjiar is surely a natural beauty. There are many more such beautiful places in India. Checkout my blog for that at https://www.gowithvimal.com.